With increasing availability and complexity of antenatal care, CNS tumors are now being diagnosed even before birth. Rapid diagnosis in infancy and advances in perioperative, anesthetic/critical care, and operative care now allow interventions for infants which previously were not possible. The advances in molecular diagnoses and neuroimaging are beginning to identify subsets of tumors in infants with outcomes distinct from CNS tumors in older children. 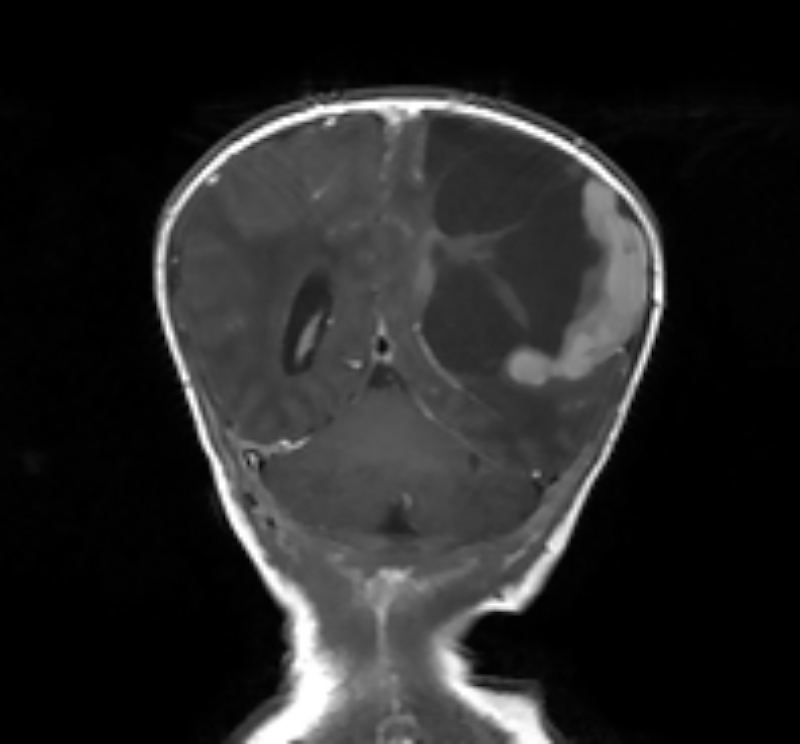 Tumors in infants are often poorly differentiated and aggressive, and they pose a challenge for operative and adjuvant therapeutic intervention. A multidisciplinary approach to patient care is paramount in their management. Immature anatomy alters assessment and management: The examination of the infant with an open fontanelle has special considerations for ICP assessment, neuroimaging, and accommodation of mass lesions. At surgery the immature skull ossification and mobile sutures make operative fixation challenging, and immature myelination makes brain retraction difficult. Location of tumors differs from distribution in older children: The anatomical distribution of infantile tumors is at variance with the distribution in older children, with a preponderance of infantile tumors occurring supratentorially. Tumors are often poorly differentiated and aggressive.